Mayor of Accra, Mohammed Nii Adjei Sowah says the country needs to focus on enforcing the existing regulations on the use of motorcycles popularly known as ‘okada’. According to him, when the issues of risk and safety about the use of motorcycles are addressed, a conversation about legalization can be considered. There have been talks for a review of the law banning the commercial operation of motorbikes by amending the law to regularize its operations or maintain its current form and punish offenders. Parliament has already received petitions from two bodies pushing for the legalisation of okada. But the Mayor of Accra, tells Citi News the safety concerns ought to be the focus of the conversations. There has been an increase in Okada operations in the country, particularly in the Greater Accra Region, following failure by the police to enforce the law. Statistics from the Police Motor Traffic and Transport Department show that 200 motorcyclists lost their lives in 2010. The number shot up to 400 in 2012. The Speaker after a discussion on the matter of regularizing Okada referred the subject to the Roads and Transport Committee to suggest how to deal with the phenomenon. The Minority Chief Whip, Muntaka Mubarak has made a strong case for the legalization of motorcycles and tricycles for commercial purposes popularly known as Okada. 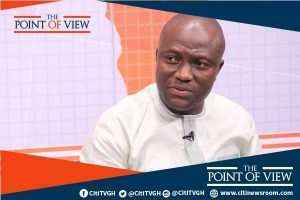 But, First Deputy Speaker, Joe Osei Owusu, says the safety concerns associated with the use of Okada and its excesses does not make it a viable mode of transport, hence the ban should be in place. His concerns follow the Transport Minister's call on the Inspector General of Police (IGP) to arrest persons who use motorcycles, popularly called Okada after 9:30 pm. A lecturer at the planning department of the Kwame Nkrumah University for Science and Technology KNUST, Dr. Camynta Baezie is urging the transport ministry to be cautious about calls for the review on the ban on the use of motorcycles for commercial purposes. He argued that the economic argument should not shroud the safety risk and other dangers associated with the business. Dr. Baezie cautioned against a resolution that will not be thorough.